It is not unusual to see a company spend many hundreds of thousands on all their business literature, business cards even TV adverts and then download free software to create a Website. I recently chatted to the brand manager for a large travel company. When doing an online search (using Google) for “travel agencies” the company comes up within the first 20 companies. That should be great right, except this particular company has a warning from Google that the site may have been hacked. This is not a difficult problem to fix, however after 150 days I noted that the hacked warning message was still there. Sure out of a thousand people probably only 300 would feel that the site is too risky to visit and may damage their respective computers but what’s 300 potential customers. Every day there are more and more visitors - not walking into your company's immaculately designed offices but rather surfing into your company's website. What they experience there can and will impact on their spend with you. If not what are the ramifications. Well quite simply if your site does not offer this - search engines will look elsewhere in an attempt to find a site which does fulfil these requirements. 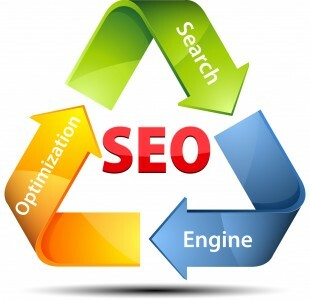 The reason is simply search engines need to deliver sites which they can “see” offer the best information. They “see” this by testing for many different attributes that it feels your website should have. You may be ranking well today but should your competitors site tick off more of these blocks than your site does then tomorrow they will represent your business category online and get that business. Webnerd offer a great solution with their product Webnerd Edge. Edge is software that is being developed all the time. Its very foundation includes all search engine and social media requirements it is also faster and more secure. The software offers a text only environment for you to edit things like articles, pricing and most other content on the site all done without affecting the actual appearance and design of the website. This is all actually great news – why - because it levels the playing fields. Corporates are notoriously slow at making changes and many of them have spent small fortunes on their websites only a year ago and are reluctant to do so again. This is great news for the small business owner who is looking to grab a bigger piece of the pie. A small business owner prepared to be flexibile and has the ability to alter their site quickly will take advantage of current opportunities and generate more business than was previously possible against the big boys. Don’t just take my word for it. Online activity is crazy fast and dynamic. Changes made today are seen in days and weeks not months and years. Give our nerds a call for more information.